I love Spring – especially after such a cold winter. I love little bunnies and chicks and ducklings. I love colorful baskets and eggs. Oh! And I love chocolate in any shape or form! But most of all, I love that my Father, the God of the Universe, gave His only son, Jesus Christ so I can live a full life now and forever. May you find the peace of God this holiday and enjoy your chocolate too! Two songs for your meditation and enjoyment. 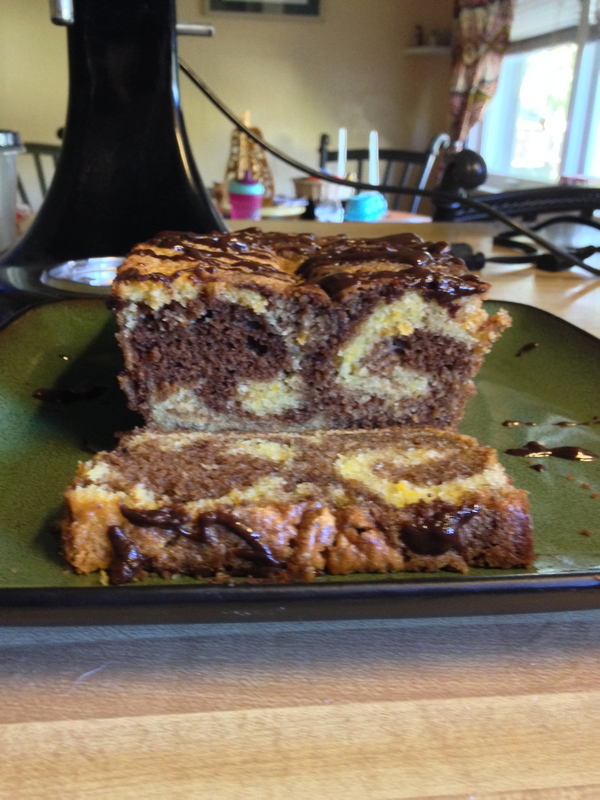 This entry was posted in Random and tagged bunnies, chicks, Chocolate, ducklings, Easter, Jesus Christ, resurrection, spring on April 18, 2014 by Cate B.
I have always had a love for marble cake. It could be that my early birthday parties always seemed to have a marble cake with butter cream frosting made by mom! Great combination and so good. This cake drew me in rapidly. BUT I am in the USA, born and bred, and except for a teeny tiny learning experience with metric – I do not know metric. Several years ago the US wanted to change to metric. I balked at that idea but was willing to learn. Then, as usual, they said we will not. OK. Got out of that one. But now I keep seeing these wonderful blogs with fantastic temptations and I want to make them. That’s where google comes in. So I converted the grams to ounces and OH MY! What a fantastic cake! Oven heated to 325 – I guessed that one. gas 4??????? And for the last part of the melted chocolate and orange I used a blop of Nutella with a dribble of orange juice mixed in and put in microwave briefly so I could drizzle it. TRY IT! It is heavenly and I cannot stop eating it……..my birthday is Friday so I think I can justify the piggy-ness of devouring this cake. 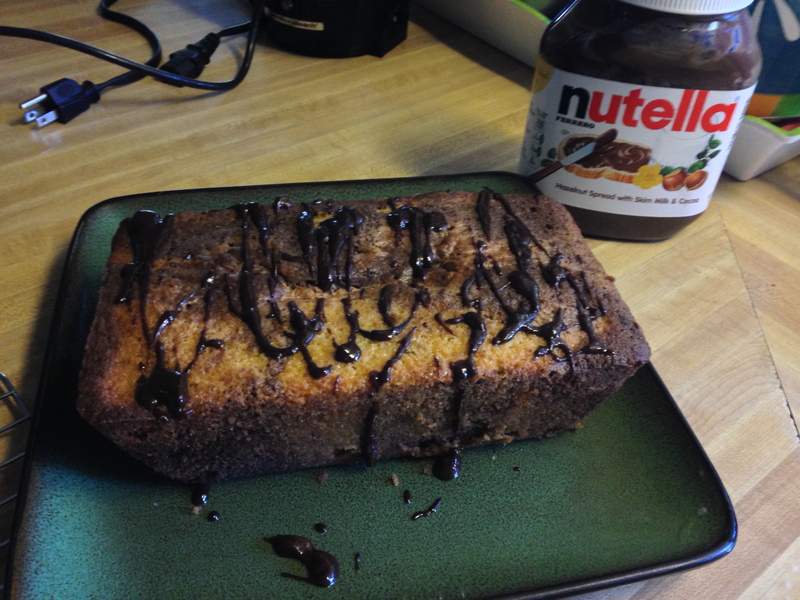 This entry was posted in Random and tagged birthday cake, bloggers, blogging, cake, Chocolate, marble cake, marbles, Nutella, orange on October 9, 2013 by Cate B. Being a grandparent is amazing. I never knew I could love so much. Having the four children I gave birth to was pretty amazing also. Each one was a bundle of unique personality that I just adored. I still do. But a grandchild……. a whole different ballgame. You hold them for the first time and look deep into their eyes and wonder ….. who do they look like? There’s a bit of everyone wrapped up into this little human. They change almost daily in their looks and their personalities unfold just as fast. I was blessed to be in the birthing room for our third grandson’s birth. When he cried and cried laying there on the table waiting to be measured and cleaned up I went over to him and said, “It’s OK. I’m here”, exactly as I would tell him when he was in his mother’s womb. I did that two times after his birth and both times he stopped crying. He knew me. Our fourth grand child is the first girl grand child. She is two years old now. I talked to her in the womb also thinking I would have the same rapport. No. She cried for me for the first six months of her life as I cared for her a few hours each day. I tried not to take it personally. Then one day she came over and smiled and loved me. It is an awesome feeling. Now, she sings with me and plays with me and snuggles and argues. 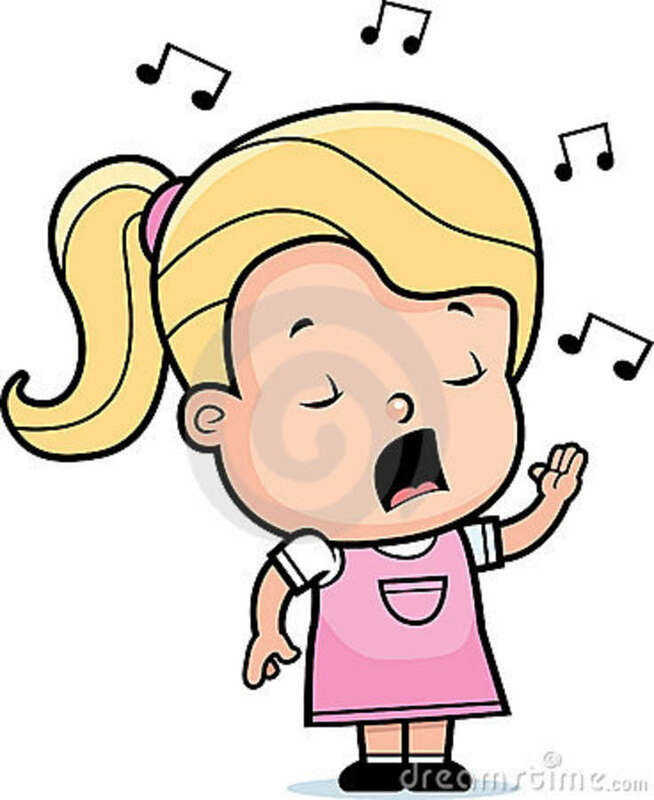 She tends to prefer songs with a good beat to bop up and down to. She know what she wants. Jason Mraz is a favorite of hers. 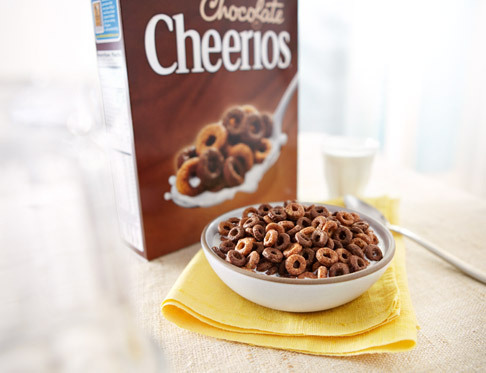 I girl after my heart…… cheerios that are chocolate. Of course I said yes. My kids never ate cereal like that – but nothing is too good for my grandchildren. We now wait excitedly for another grand daughter who will arrive in October! Who is she? Will she look like me? What will be her favorite treat from Mammy and Papa? Love your family and friends – they are priceless. There is much to be learned about life through our families and friendships. There is much to be learned about ourselves. I love that. I love them. This entry was posted in Random and tagged cereal, Cheerios, children, Chocolate, family, friends, friendship, grand children, Jason Mraz, music, songs on July 30, 2013 by Cate B.
Gotta have a piece of the pie. My youngest son, Kirk, suggested this pie to me. I love to come up with new recipes inspired by family and friends. I’ll post the recipe further down. Speaking of inspiration ……. I live in a mid west city that is just that. The culinary aroma of Kansas City, MO is wonderful. I’ve never seen so many different styles and types of food in one small area – maybe New York. And because of the diversity here I believe it inspires even more diversity. You can think I’m weird, I’m OK with that. What I’m saying is that this area seems to send off a “vibe” of creativity that can boggle the mind. I, myself, have come up with flavor combinations that I never would have tried in my last town. Some of my inspiration here in KC has come from the likes of Christopher Elbow and his phenomenal flavor combinations in his chocolates. Yes, i said chocolates! Best I ever had! Blanc Burgers and Bottles inspire me with their combinations in their burgers! And then there is Soda Vie – unbelievable flavors of homemade soda – particularly the Fennel flavor I had at a wedding. It’s endless here I think. I have had my senses awakened the last three years and there is no turning back. 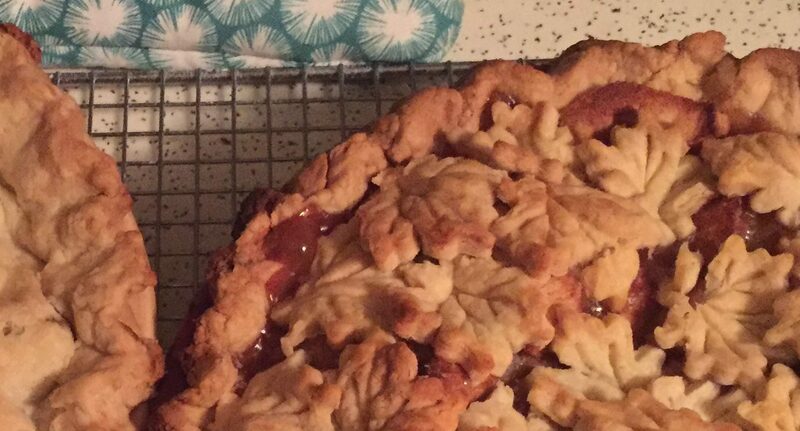 So about the pie my son inspired. 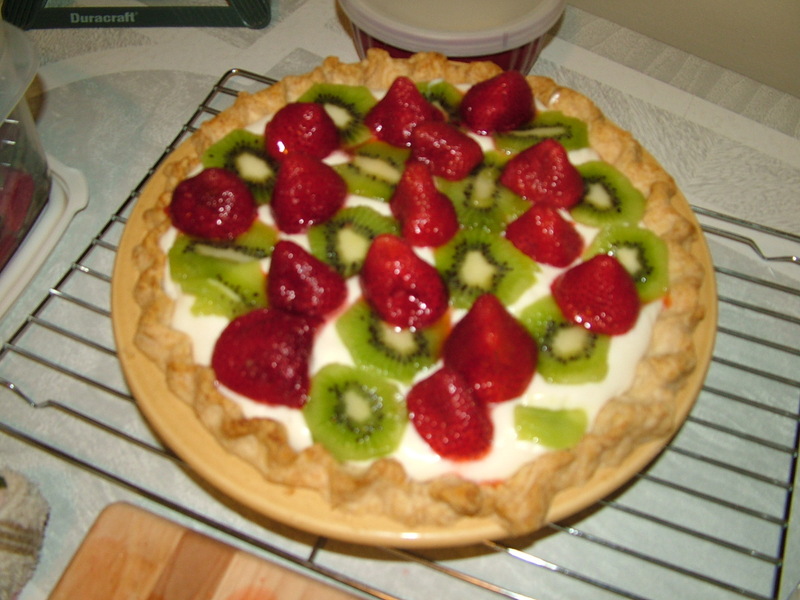 I call it Kirk’s KiBerry Pie. 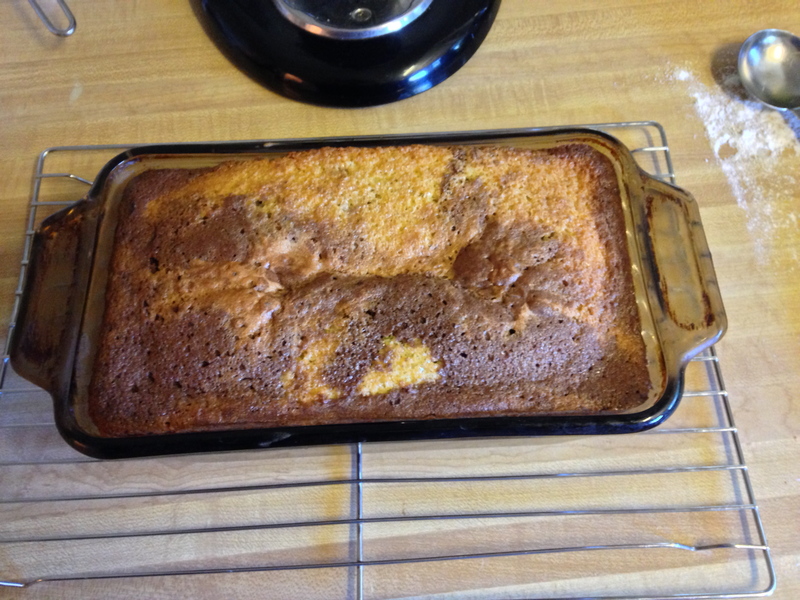 The crust I got from The Pioneer Woman – Ree Drummond who apparently got it from Sylvia. Now, you want to bake this in the pan before adding the filling. Combine til smooth and thick. 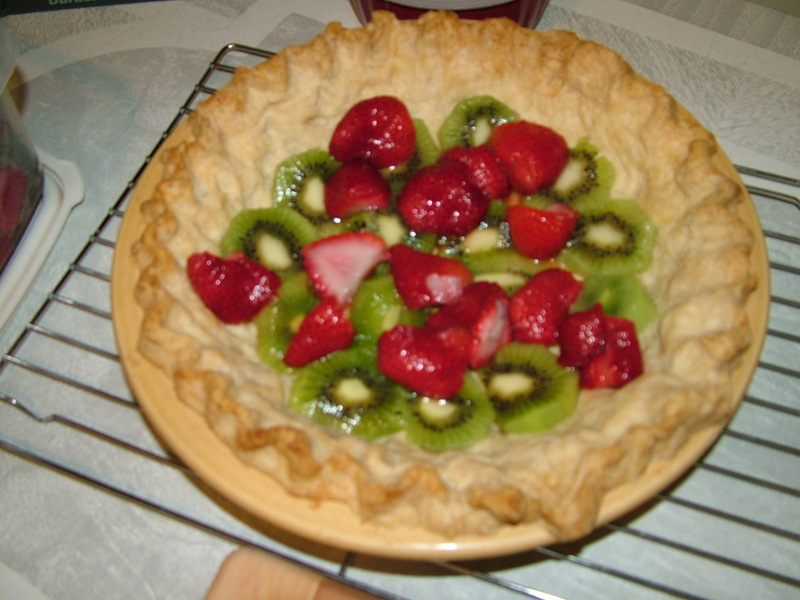 Put 1 layer of sliced kiwis and strawberries on bottom of cooled crust. Pour filling over and top with more fruit. Refrigerate and enjoy when completely cold. I am sorry for not having detailed measurements but i literally “threw it together” as my son spoke of this delectable combo. I hope it works for you or better yet that you can improve it and win a contest and go to Jamaica or somewhere pie related. I am a very creative person – meaning my mind is always creating – whether my hands carry it out or not is another story. But boy, is my mind busy. 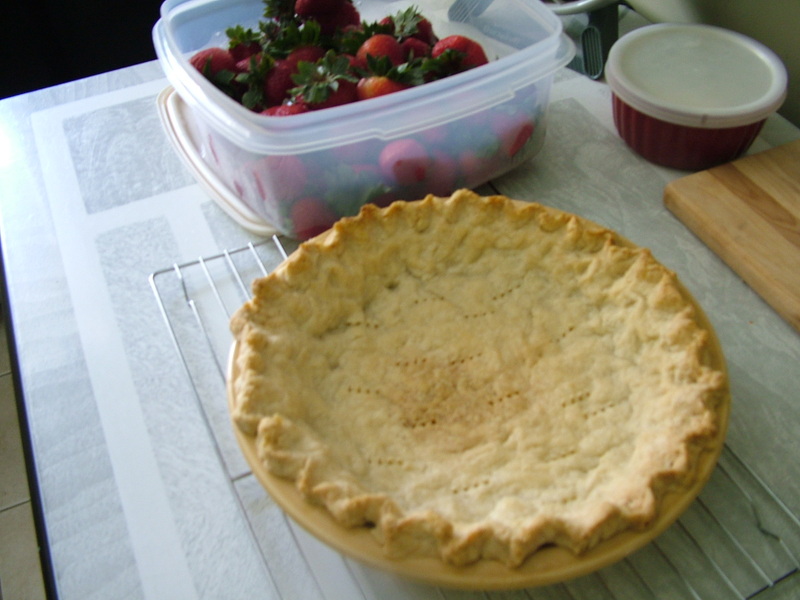 I love to bake and as I’ve mentioned in previous posts I love the whole concept of PIE. It just puts a smile on most people’s face when you say the word PIE or the sentence, “I’ll bring a pie”. This entry was posted in Random and tagged Blanc Burgers and Bottles, Chocolate, Christopher Elbow, creativity, inspiration, Kansas City, Kiwi, pie, Ree Drummond, Strawberries, The Pioneer Woman on April 10, 2012 by Cate B.